Aguaje is dioecious – which means that there are separate male and female individuals – and therefore sustainable harvesting depends on maintain a balance between the number of individuals of both sexes. However, typically, female trees have been felled to harvest their fruits, and in many areas, few fruit-producing trees remain. 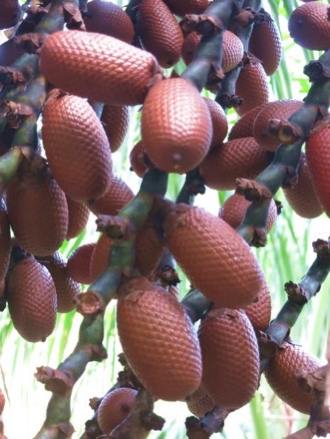 The Peruvian Protected Areas Authority (SERNANP) is keen to promote sustainable forest management by local communities within protected areas, and aguaje fruit harvesting in Pacaya Samiria National Park is one of the most promising opportunities to achieve this goal. 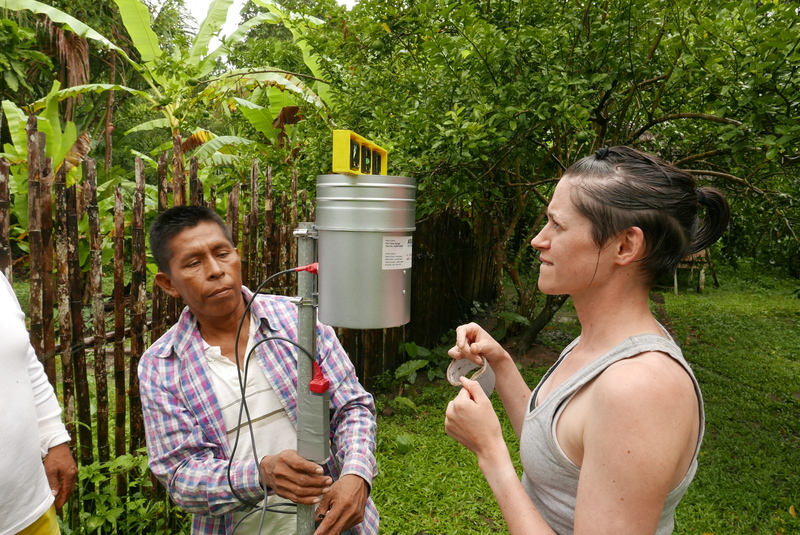 We are therefore working with SERNANP to support this activity, as part of our project ‘Monitoring the protected areas of Peru to increase forest resilience to climate change (MonANPeru)’ led by Tim Baker, and funded by the Gordon and Betty Moore Foundation. 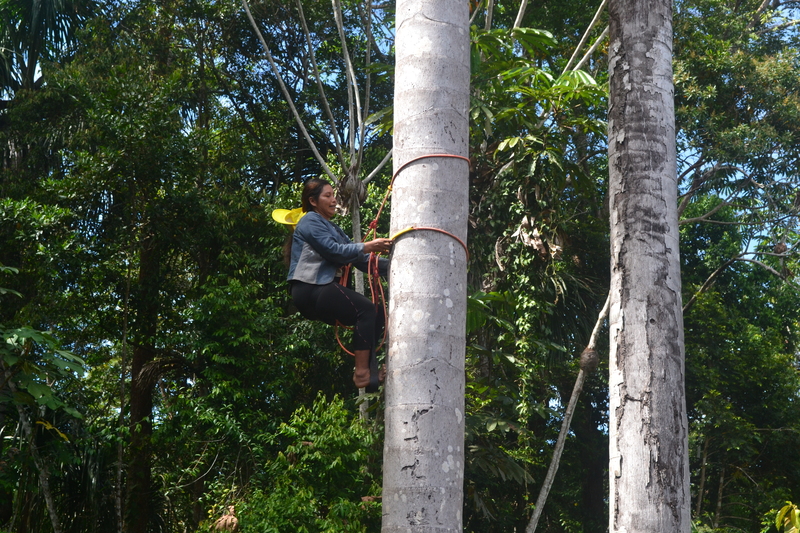 The ‘Makisapa’ climbing system, makes scaling palms easy! 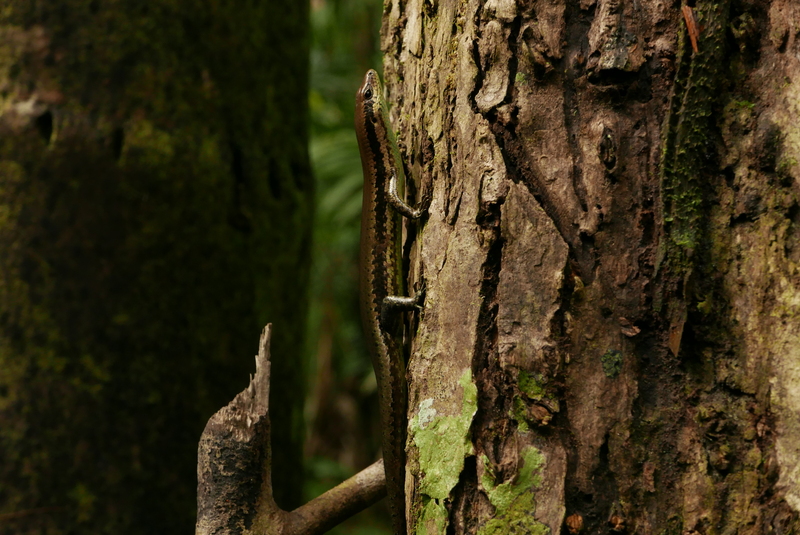 Specifically, following a request from SERNANP, Karina Banda has developed a monitoring protocol for Mauritia flexuosa populations within the national system of protected areas. 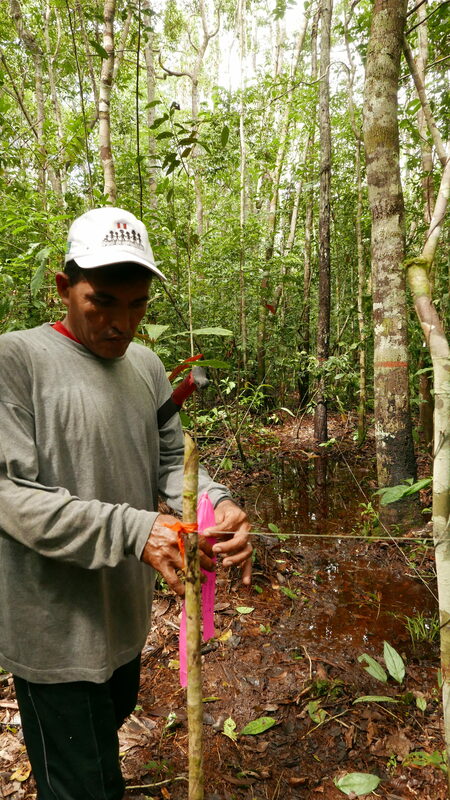 This protocol uses data from the network of long-term forest plots in wetland forest established by Euridice Honorio (IIAP), to identify indicators, design a sampling strategy and establish baseline values for monitoring the health of Mauritia flexuosa stands. The plots provide crucial data on variation in two key indicators of forest health: overall aguaje density and the proportion of female aguaje trees. These data are being used to define the thresholds for these indicators, which will be used, in conjunction with regular monitoring, to identify how fruit extraction is affecting the health of aguaje stands. Implementing a clear and reliable monitoring system will help SERNANP expand aguaje harvesting to additional communities, and increase the value of the harvested fruit. 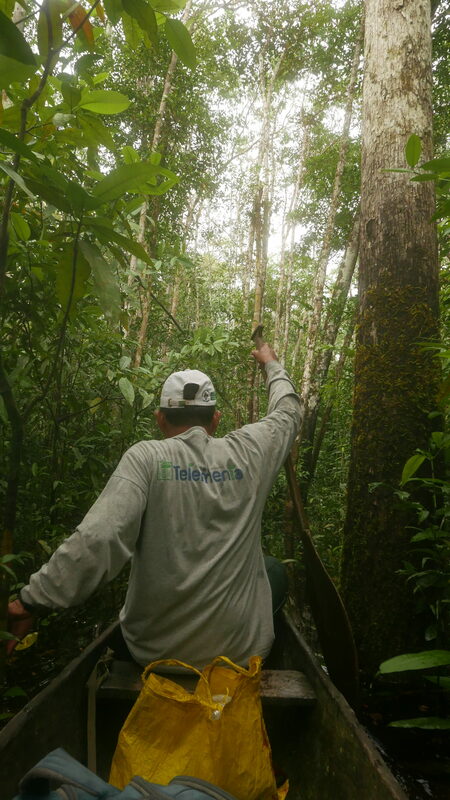 For us, it is exciting to see how ecological monitoring data can be incorporated into biodiversity management to support both conservation and sustainable development in these landscapes. 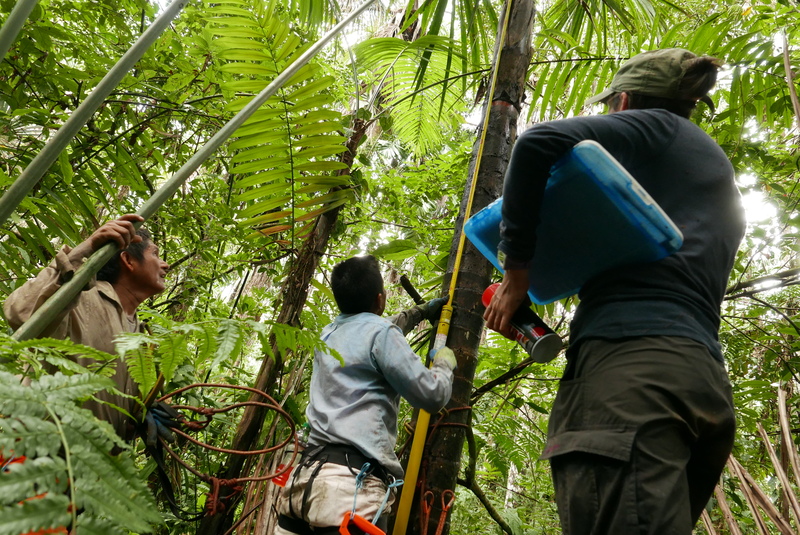 From April to July 2018 Greta Dargie, Jhon del Aguila Pasquel, Julio Iriarica and Ian Lawson have been busy in the swamp forests of the Pastaza-Marañón Basin setting up monitoring sites. At two key sites, at Nueva York and Veinte de Enero, we have installed a suite of equipment and initiated measurements aimed at measuring litter production and decomposition rates. At 14 further sites we are installing automated dipwells and litter decomposition bags. 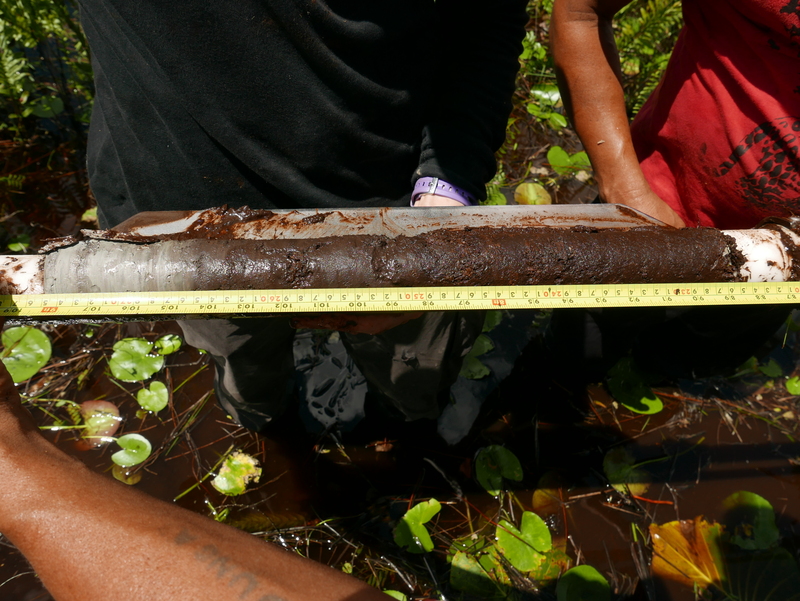 The aim is to better understand why carbon-rich peat soils accumulate in some places and not others.